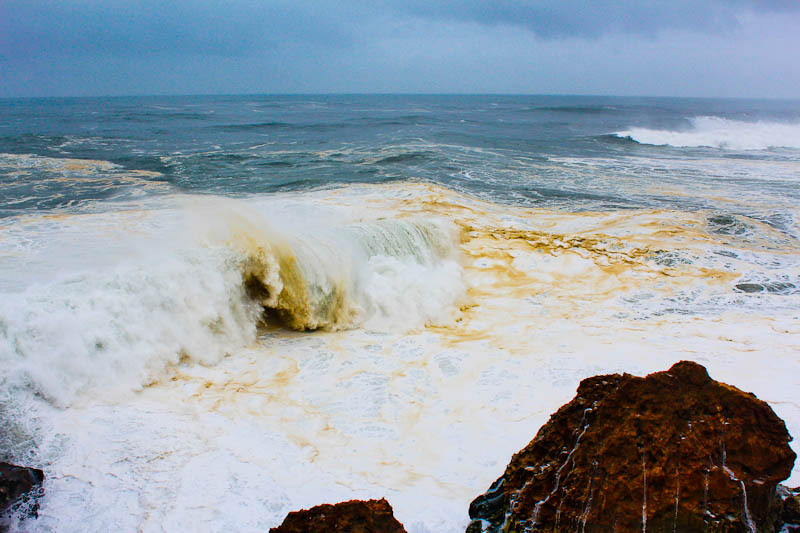 Today we didnt surf as the Waves was to big for us so we went up to Nazaré and looked at the big Waves. The XXL surfers had leaved when we came up but the Waves was still around 10 meters. …course 1. Tomorrow we start course 2. What a fantastic week, not the best weather but nice waves both small and bigger. Yesterday we was in the bay in waves around 2m. Great to see how some of the guys handle it with their soured bodies. A week here give you a bit nice muscle pain for sure. Björn, Isak, Dan, Daniel, Leif thanks for a great week! Oooh the guys was surfing like fullblod horses. What a day, fantastic for me to stand on the beach and look at the progress they done. Dan who is a experienced ww kayaker really show us how to handle a surfkayak, amazing to see! Toughest is Isak, who have nearly no kayak experience at all. We have named him Isak Fly High Carlsson. Today we had nice waves, perfect hight for these guys who isnt afraid of the water walls.